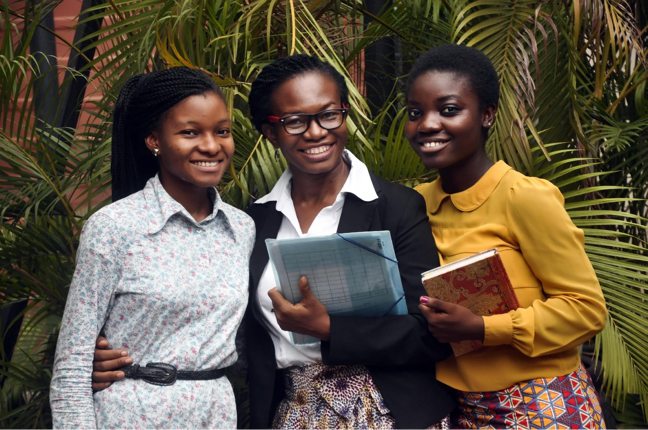 Uzommiri Study Centre (Nigeria) provides undergraduate students with a holistic formation to complement their fields of study in the university. Most of the students come from underfunded public secondary schools and underperforming private schools where they lacked training in acquiring skills that will enable them to excel in their academics and manage their time well in school. The centre offers programs that develop the students’ talents, character and spirit of service so as to prepare them to be responsible members of society. Academic skills and work habits are strengthened by individual coaching, mentoring and leadership training. Wavecrest College of Hospitality (Nigeria) is the premier private Monotechnic in Nigeria. The curriculum encompasses broad based knowledge, skills specialization, entrepreneurship and commitment to work in sustainable projects imbued in principles of high ethical standards. Graduates find employment in the growing field of hospitality at operative or supervisory levels. Young women from less privileged backgrounds who are interested in carving a career in hospitality are the main enrollees of the college. 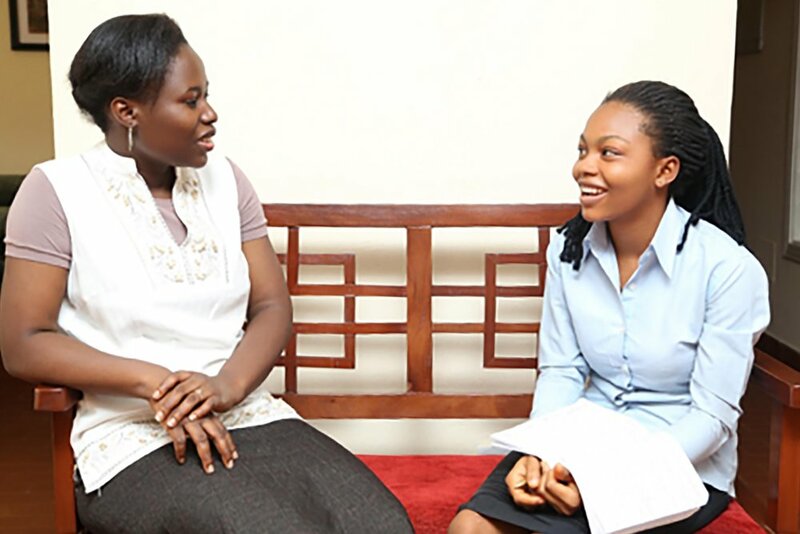 Wavecrest Study Centre (Nigeria) helps young girls learn to manage their time and develop skills to excel in school. The center aims to help them achieve their academic potential, enrich their personality and build their self-confidence. Various clubs offer classes in study techniques, public speaking, effective writing, home management, cooking, music and crafts. Students are given individualized attention through mentoring. 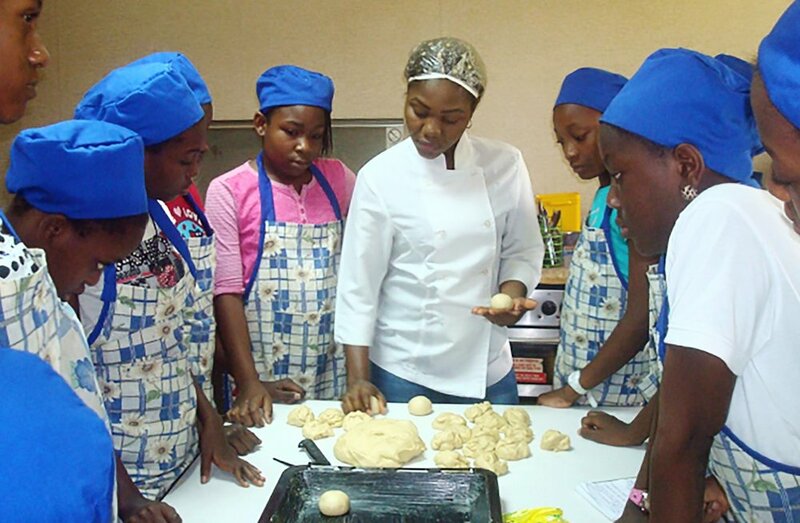 Lantana College (Nigeria) provides comprehensive training for young women to empower them with knowledge and skills to work as professionals in the field of hospitality. Students come from very poor families in the villages of the Enugu State. The majority are from families of farmers and traders with small shops in front of their homes where they sell their farm produce. Students pay minimal fees to the college that hardly cover their expenses; the cost of education per student is financed by donations towards scholarships and by proceeds from sales of baked items and other products made by the students as part of their basic occupational training. 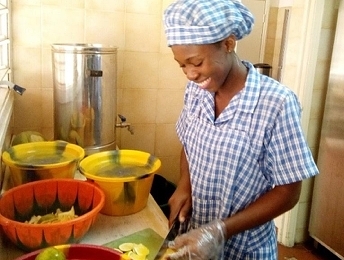 Iroto School of Hotel and Catering (Nigeria) gives hospitality training to young girls from the rural community of Iroto. It enables them to obtain employment and improve their living conditions. Apart from their academic work, the students are actively engaged in community development outreach, enhancing the social impact of the school in the surrounding villages. In order to accommodate the increasing demand for admission of young girls, the School has embarked on a facilities expansion program. In the Philippines, poverty and the lack of education make it difficult for families to sustain themselves. For the past 40 years, The Punlaan School has been transforming lives through technical vocational education in Hospitality and Culinary Arts. While continuously appealing to build its scholarship fund, Punlaan is compelled by its proven success and desire to reach more women. Poor children and young students in Israel and Palestine often have limited access to education. Education is key to develop an atmosphere of peace, understanding and mutual respect in a land racked by conflict. A Bridge to the Holy Land works with the less well-off schools and centers througout the country. Our aim is to provide financial aid to those students who lack the necessary resources to attend high-school and college. Vega Baja offers job training for women from underserved areas of Nicaragua's Pacific Coast. This training enables them to take on skilled jobs and earn higher salaries. Vega Baja also helps women start or improve small businesses, commercialize their products, take advantage of micro-finance opportunities, etc. Since its inception in 1999, Vega Baja has helped over 725 women start or expand small businesses. Female illiteracy in India stands at 45%. Many young girls dropout from school and migrate to rapidly developing cities in search of jobs in order to support their families. Due to lack of adequate marketable skills these women often have no choice but to take up informal work, for which —without regulations and laws to protect them— they are often underpaid and undervalued. Since opening its doors in 2007, Kamalini Professional Training Center for Women (Gurgaon, India) has helped hundreds of underserved girls and women complete their education and receive specialized skill training. As a result, all have access to better job opportunities and some have started their own businesses. An estimated that 80% of the population of DR Congo live below the poverty line. Life expectancy, at birth, as of 2017, is 59%, and the infant mortality rate is 74% out of 1000 live births. BOMOKO, United for Congo, develops unique initiatives promoting equal access for all Congolese to high quality health, education and sustainable agriculture solutions. Working for decades in Democratic Republic of Congo (DRC), BOMOKO unlocks a brighter future for DRC with creative, innovative solutions driven by the Congolese for the Congolese. Although the Dominican Republic is one of the largest economies in the Caribbean, about 40% of the population still lives below the poverty line, primarily in rural areas. Overall participation in the job market in rural areas is 50%, of which only 29% are women. To combat poverty and its many structural problems, Serranía Technical School of Hospitality provides specialized skill training to women and girls from rural areas in the fields of Nutrition, Culinary Arts, Hospitality, Event Planning, Business and Entrepreneurship, so they can have access to higher paying jobs and/or start their own businesses. Since 1970 Siramá Foundation has sought to provide a response to the needs of Salvadoran women. Since its beginnings, it has emphasized in the training of women seeking their personal and professional development, providing them with tools to be agents of change in their family and community environment. More than 45,000 women have benefited from our programs. In response to the country’s high and increasing rates of poverty, violence and inequality, the skills taught are based on 3 components: human, technical and entrepreneurial. Young women from rural areas have limited access to education. This in turn leads to an exclusion from the labor market. To address these needs, Asociación de Fomento Cultural y Deportivo (AFCyD) opened Montemira School in 1977. Since then, Montemira has helped thousands of girls complete secondary school, high school and receive certificates of various professional skills. Montemira gives these young women an opportunity to improve their quality of life, enter the skill labor market after graduating or continue into higher education, and break away from the vicious circle of poverty. Hunger, poverty, a lack of hygiene and safety conditions are all barriers to a proper education. In Venezuela, the Instituto Los Samanes has been working to take personal education to those young girls who live in slum areas. Women who receive a formal education are more likely to become entrepreneurs, invest in their communities, build a solid family and empower other women; then the toxic cycle of poverty becomes a cycle of prosperity. Since 1988, Los Samanes has given formal education to more than 5,000 girls and their families. Not counting the many girls who, since 1975, received training courses for work. Currently, with $200 you can offer a whole year’s education to a student of Los Samanes. Los Samanes uses the building of the Colegio Los Campitos in Caracas and the Colegio Altamira in Maracaibo after normal school hours. They share with these schools their education philosophy and part of their staff. Los Samanes offers a privileged level of education to women who come from slum areas. Four out of every ten Venezuelan women play the leading role in their families. This is a determining factor in the social and economic development of the country. A young girl living in poverty, given the opportunity to improve professionally and obtain an all-round formation, becomes the starting point in the change that can take place, not only in her personal life, or in her family circle, but in the entire community. And this is what we seek to achieve at Kasanay and Pitahaya, by means of the training programs we have established: to give these women the chance to establish their own personal project, and to grow humanly, spiritually and professionally, specifically in the area of hospitality. The students receive an academic award and gain expertise in food and beverages, laundry, house maintenance, good manners and basic education, so now the young women from the poorest areas in Latin America can have access to higher paying jobs, start their own businesses and make their lives a story worth telling. Today AYSE schools in Venezuela have a challenge ahead of them: to continue offering an all-round quality education to many families. The cost of educational initiatives has increased exponentially. We can continue our task of forming young people thanks to the commitment and contribution of all of us. Because…you are AYSE and we count on you! Help your people so that many girls, teenagers and their families can receive the excellent education that you did. —Scholarships that will reduce desertion. —Infrastructure repairs and general maintenance of the schools. Our current priority is acquiring our own property for the school Santa Cruz, in Valencia, state of Carabobo. You can directly support the infrastructure and needs of American Initiatives. American Initiatives for Social Development is a 501(c)(3) non-profit organization registered in the state of New York. Contributions to American Initiatives are tax-deductible. American Initiatives offers donors a secure and transparent channel to support and strengthen local non-profit organizations in different parts of the world.